FotoBoda Granada -Wedding Photos & Full HD Video is a well-recognized wedding photography and videography company in Granada City. At FotoBoda, we pride ourselves in providing clients with the best services and premium quality products at a fraction of competitors' prices. Our creative, photojournalistic and traditional styles have attracted hundreds of couples every year. The high quality service, passion and commitment we offer our clients will ensure the moments of your special day are captured so that you may remember and share them for a lifetime. 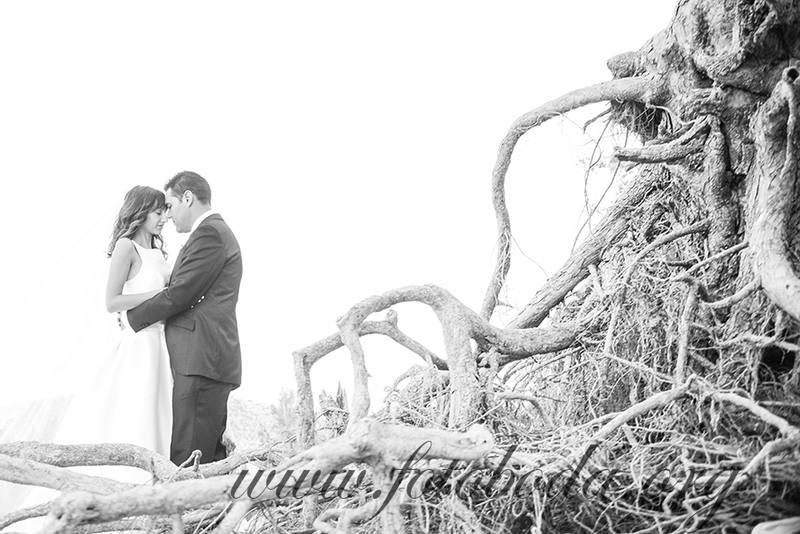 Wedding photography magic doesn't happen in front of the camera or inside it. And it's not simply the person behind the camera either. Great wedding photography also depends upon the people behind the person behind the camera. That's why we have assembled the best team of professionals anywhere. Our photography is simply but with magic. We use the black and white texture, colorfull pictures that included together with her expression, and the composition of the photograph make for a picture that evokes some of the emotion from the day. The range of deliverables that a wedding photographer presents is varied. There is no standard as to what is included in a wedding coverage or package. Visit our Blog here! Q: Can you tell me about the packages you offer? A: We know just how daunting the whole process of wedding planning is so we keep things as simple as possible. We’ve come up with a package that includes those things that we know will make the most of your wedding photography experience. - A large hardbound folio of all of your event images. Elegance and exclusive Album made for you. Q: Do you create albums as well? A: We utilize only the very best manufacturers in the world to ensure that you are getting the very best albums available anywhere at any price. Our exquisite imported handmade storybook albums and our state of the art coffee table books are offered as a la carte items, so you can pick what you want when you want. Q: Can I customize the package further? A: Engagement portrait sessions, additional hours, photographers, self-portrait studios, guest signing albums, handfinished prints, save-the-date and thank you cards, and a variety of digital products including our reknowned flash edit thumb drive loaded with your wedding day images at the end of your reception can all be added on an a la carte basis as desired. A: Terms of photographic style are so misused nowadays that they’re practically meaningless. If our pictures speak to YOU then you’ll know it’s YOUR style. And that’s what’s most important. Some would call it photojournalistic or editorial or candid. Our style is all about capturing the REAL you and the JOY of living. Q: Can you tell me why we should choose FotoBoda? A1: Photographs are important to you. A2. Our images speak to you in a certain way - you appreciate how they appear more alive, more evocative, more fun, more… something. And you want that. A3. Like us, you‘re one of those people who hates your picture taken so you want to hire someone who makes it easy, pleasant, and even fun. But at the same time, you want them invisible most of the day. A4. You are the type of person who prefers to deal directly with the artist who will meet with you personally and give you one-on-one personalized attention from start to finish. A5. You understand that the person you hire is going to be an integral part of your entire wedding experience and you want someone who can actually put you at ease and add to the pleasure of your day. A6. You can appreciate and love our work. And you love us. Q: I hate posing for pictures. Do I have to pose? A:We don’t think it looks natural either. We actually make it fun so you don't even think about the photography process. Q: So you engage your subjects? A: During portraits, absolutely. But during the ceremony, dances, etc. you and your guests won’t even know we’re there. Q: Do you do traditional wedding photographs, too? A: If you mean do we take traditional family pictures in addition to our more lifestyle and photojournalistic work then the answer is absolutely yes. We appreciate the value of and the history behind the traditional family portrait, and while they may not be as exciting as some of our more informal portraiture, they serve an important function. Q: Do I get my negatives? Do I have to wait a certain period of time? A: We don’t subscribe to the old school philosophy that you are beholden to your photographer to purchase every thing you want directly from them. We provide you with a copy of your digital negatives on DVD when you want them. There’s no waiting period. Q: Do you do video too? A: Yes, we now offer what we consider the premier video service. Q: What do I need to do to hire you? A: A signed agreement and a retainer of 250€ are required to reserve the date for you. Dates are filled on a first come-first served basis and once a photographer is booked, they’re booked. So don’t wait. Q: Can I make an appointment to meet with you? A: Absolutely. We believe a personal connection is important. However, if you're considering other photographers as well, we strongly advise you to meet with them first. Then you'll have some education in the photography market and a basis for comparison so you can better appreciate the differences in what we offer. Q: What if I have questions that aren’t listed here? A: Drop us an email at info@fotoboda.org or give us a call at (+34) 958 127 940 or 628 634 221 We’d love to hear what you’re planning and discuss how we can preserve your memories for you. You can visit us at C/Tirso de Molina nº4 18009-Granada. Click here for Google Maps! 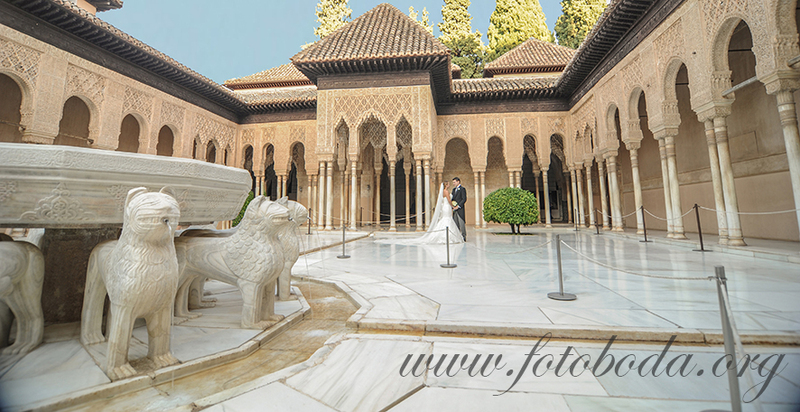 To make your wedding photographs at the Alhambra in Granada, in FotoBoda we can make it reality. Unique and magical photographs in a beautiful setting . Contact us for more information! 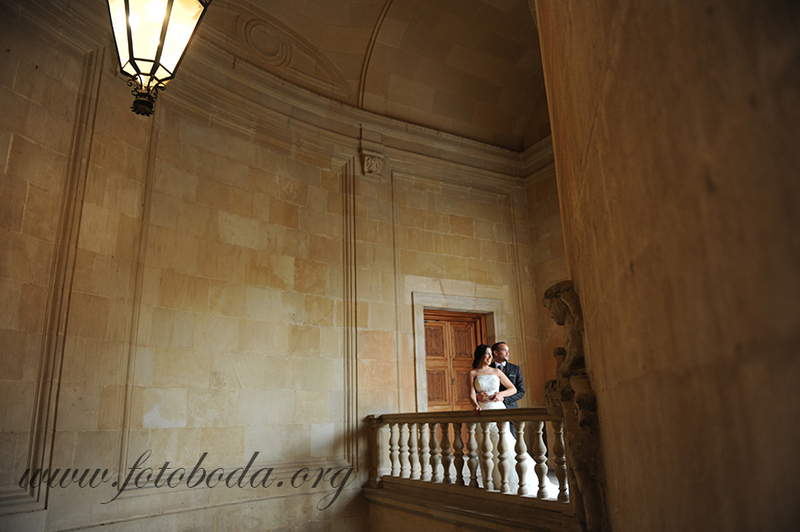 Wedding Photographer in Granada (Spain) The Best of Wedding Photography for your most beautifull day. Contact us for more information.